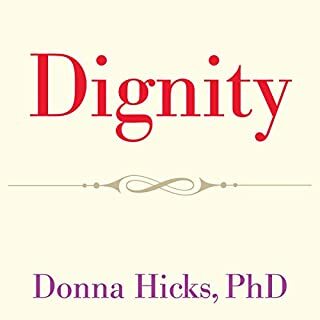 The desire for dignity is universal and powerful. It is a motivating force behind all human interaction - in families, in communities, in the business world, and in relationships at the international level. When dignity is violated, the response is likely to involve aggression, even violence, hatred, and vengeance. On the other hand, when people treat one another with dignity, they become more connected and are able to create more meaningful relationships. 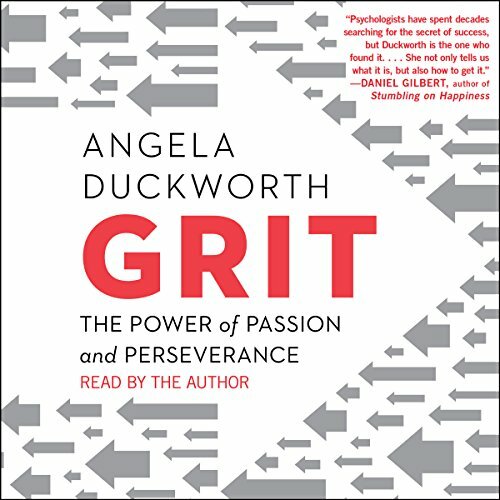 In this must-listen book for anyone striving to succeed, pioneering psychologist Angela Duckworth shows parents, educators, students, and businesspeople - both seasoned and new - that the secret to outstanding achievement is not talent but a focused persistence called "grit". Why do some people succeed and others fail? Sharing new insights from her landmark research on grit, MacArthur "genius" Angela Duckworth explains why talent is hardly a guarantor of success. Rather, other factors can be even more crucial, such as identifying our passions and following through on our commitments. 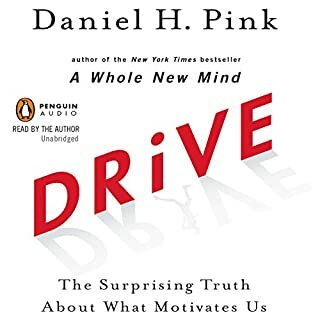 Drawing on her own powerful story as the daughter of a scientist who frequently bemoaned her lack of smarts, Duckworth describes her winding path through teaching, business consulting, and neuroscience, which led to the hypothesis that what really drives success is not genius but a special blend of passion and long-term perseverance. As a professor at the University of Pennsylvania, Duckworth created her own "character lab" and set out to test her theory. Here, she takes listeners into the field to visit teachers working in some of the toughest schools, cadets struggling through their first days at West Point, and young finalists in the National Spelling Bee. She also mines fascinating insights from history and shows what can be gleaned from modern experiments in peak performance. Finally, she shares what she's learned from interviewing dozens of high achievers - from J.P. Morgan CEO Jamie Dimon to the cartoon editor of The New Yorker to Seattle Seahawks coach Pete Carroll. 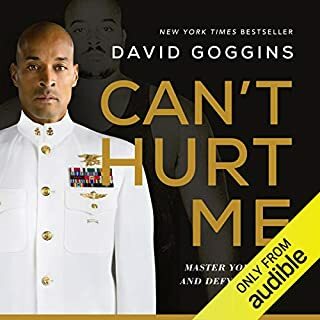 Winningly personal, insightful, and even life changing, Grit is a book about what goes through your head when you fall down and how that - not talent or luck - makes all the difference. Good message but I got bored after a while from the content... but perhaps I don’t have enough grit to survive the book! I wish I had this knowledge 20 years ago. Grit contains key knowledge that can dramatically improve our ability to achieve succes in fulfilling our goals. It provides a mindset that can greatly empower leaders in any field. As a parent, I find the book invaluable in helping me provide my kids with key life skills. 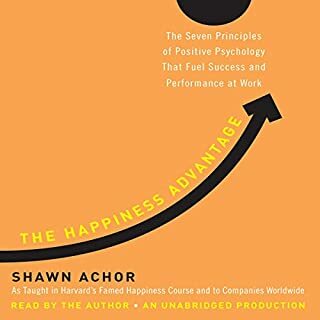 I very highly recommend this excellent, easily digestable book to anyone who wants to fulfill their fullest potential in any field. Good message, interesting research, too long. 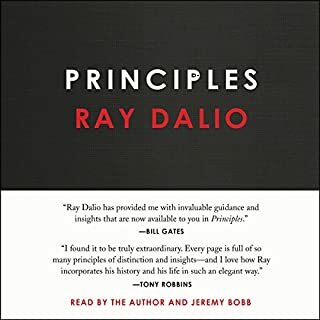 I enjoyed this book and although I think most of the insights here were common sense, it was just to have those thing confirmed by research. But, I felt like it was pretty repetitive and could have been a lot shorter. Great book for parents and teachers/educators, especially those new to the field. It was enlightening and in some ways familiar. One of the best and most appropriate books I have read. I like the authors sensible style of not taking things at face value and debunking the common every day themes of how to do things. How to approach life and above all how to live a fulfilling life with purpose. To me this book felt like reading verses from Quran and what is taught in there. I wish the author more success and hope she lives to fulfil her dreams to fullest. I would recommend this book to everyone. Success and happiness is deserved by everyone and this book let’s people understand it. I have been recommending it to my friends and family, my wife and my mother. Everyone. I think grit is probably my weakest area. Excited to start growing it with the useful insights Angela provides! This is a great book for practical application towards future success. Also the layer chapter allow for sharing this with others. The book seems to resonate with what seems true but also seems to be in short supply around us today. The fostering of grit in an individual therefore can be the means by which we can stand out from the crowd. A good balance between stories and some scientific inquiry is appealing and make this book worth the listen. I'll repeat what a couple of other reviewers have said, it took "grit" to finish what probably could have been discussed efficiently with statistics and examples in 90 minutes or less. 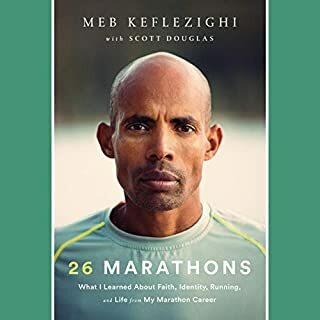 While "Grit" offers some useful observations on power of persistence in exceptionally successful people, it comes across as a 9 1/2 hour affirmation of multiple the aphorisms on determination (e.g. Genius: 1% inspiration and 99% perspiration). While the author cites some studies and field work, I'm unconvinced that she used test populations and statistical sampling that hold up to analytic rigor. 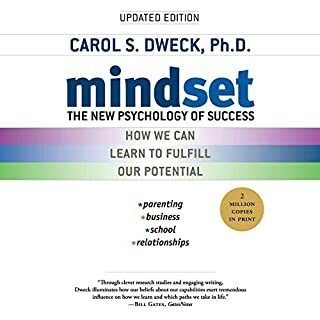 At the beginning of the book, the author overstates the statistical merit of the grit study to predict a cadet's potential to complete "Beast Barracks" at West Point and while she does somewhat temper her conclusion near the end of the book, it comes very late and almost off-hand. Finally, I did not value the author's continual inclusion of herself and family to support her observations and work. While these anecdotes are interesting in their own right and make the author relatable, they are also self-serving and call into question her objectivity. I think largest deficiency in the book is not fully exploring goal setting in relation to grit. There is some time spent on this topic, maybe 45 minutes to an hour, which is really not enough in comparison to the rest of the volume. "Grit' is worth the read if you've never read anything about hard work; there are some interesting anecdotes but overall, "Grit" doesn't present anything particularly new. Duckworth demonstrates her own grit by giving an expert performance narrating her own book. It's clear she put considerable work into learning to narrate effectively. She does a great job. To me, this book has two distinct halves. The first half is excellent and easily deserves 5 stars. She shows that a simple, self-reported test on people's willingness to stick with goals carries significantly more predictive power than more traditional predictors, such as SAT scores or athletic ability. I walked away from this section with an all new appreciation of how crucial it is for me to focus on a few, high-priority things in my own life if I ever want to achieve greatness. Her work here is based on sufficiently strong research that it forces the reader to rethink their assumptions about talent and accomplishment. The second half is based less on research, and more on anecdotes. As a result, it reads a bit like a fluffy self-help book. The chapter on the importance of "purpose" to success is basically unsubstantiated. None of the testimonials prove that "purpose" is important to success because the people she interviews could equally just want to rationalize their story in a way that makes them feel good. While purpose may be important to some people, Duckworth failed to convince that pure self-interest would have been an insufficient motivator for plenty of the successful people she interviewed. Her interviews with investment bankers made me throw up in my mouth a bit. It is also seems counter-productive to include purpose and passion in the definition of grit. The ability of people to push themselves through tasks they do not enjoy is itself an important, distinct quality to understand, and it would be valuable to have a word that refers specifically to that. I know that part of my own success rests on the fact that I have been willing to do unpleasant tasks that I felt no passion or purpose for, but which I felt were necessary. I have also felt passion and purpose for some goals, but lacked the grit to withstand the pain of putting in the effort to achieve them. Passion and purpose may indeed be motivators of grit, but to say they are part of it causes the term to lose its distinct meaning. 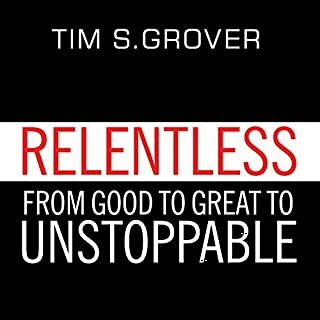 This book should perhaps be called "Persistence", of which grit, passion and purpose are three parts. As it stands, "Grit" is, in effect, defined by grit, passion and purpose. The fact that the term appears to be operating as part of its own definition shows that there is a conflation of concepts at play. 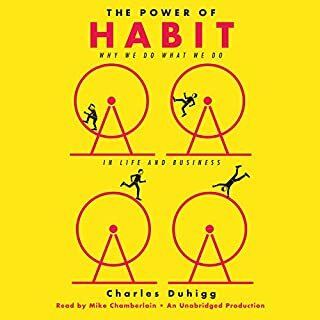 This is an excellent book that pulls together several concepts and their role in perseverance and success. Concepts that are becoming well known are: people can score higher on IQ tests when they have a growth mindset (believing that they can learn more instead of believing that they are born intelligent or not) and people can become experts through deliberate practice. 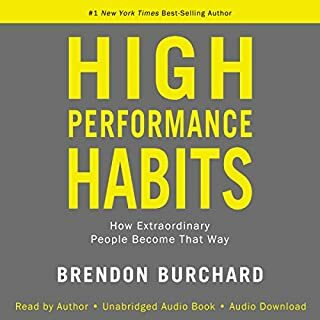 An average person can become better than a "talented" person through many hours of practice and guidance from coaches and teachers who can provide precise feedback on what to work on. "Grit" takes it to the next step - how to stay motivated to spend all those hours practicing and focused on the goal (or as the author would say, be gritty). There is also a 10-question test on the author's website to measure grit. If you answer honestly, it provides a basis for which to measure yourself over time of your perseverance. The steps are simple but hard to do. Experiment and explore to find an area of interest. Practice to overcome obstacles. The more you accomplish, the more passionate you'll feel and the more committed you'll feel to the purpose. Determination and direction are what will lead you to success. Spend time listening to something else. Go download the free Freakonimics podcast episode "How to Get More Grit In Your Life". It sums up everything you need to know and won't take 9 hours. I have around 100 books in my Audible Library. I have only returned 1 book to date. I'm returning this. I have been studying ways to improve myself and my kids for almost a decade. I've read and listened to many books that talked about grit. And I searched many times for "Angela Duckworth and grit". Well, what a beautiful surprise to find this excellent book and to listen to it twice already, in the month of its release. Angela Duckworth is the main scientist that studies GRIT. And in this book she delivers all her knowledge in a very profound yet comprehensive way. But, instead of writing only about grit and her researches, she goes beyond and talks about play, deliberate practice, flow and many other important topics of the psychology of success. I will try to highlight the message, but I recommend you to read the book at least once. Grit is a consistency of effort and practice. A gritty person have the attitude of never giving up, have an obsession and go for it, try to be the best in the world and always search for ways to improve; A gritty person has passion and perseverance. Having grit is better than having talent (but better to have both). 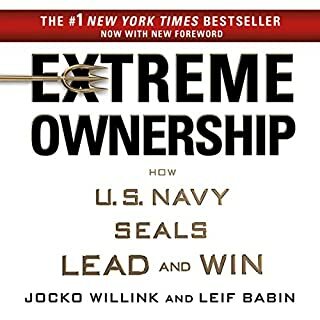 To have grit is to have a laser bean focus (specially on your weaknesses) to achieve what you desire, to get feedback from others and from yourself and use it to make adjustments to be more competent. A terrific book with plenty of sound advices. 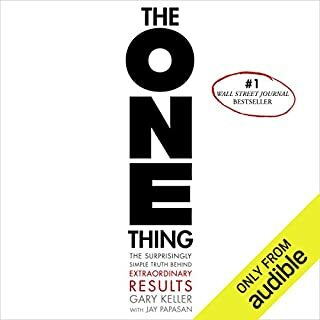 Read it and share with others that the ultimate book of success has arrived. No More Obsessing on Talent! When I picked up "Grit", I was pretty sure I was going to feel pretty crummy as I was one of those kids who flunked 'The Marshmallow Test', like, bad (I don't wanna talk about it...). But it turns out that you can learn grit (and that you get grittier as you get older through bouncing back from all of life's pitfalls and disappointments. BUT! You have to make sure you keep getting up after you're knocked down). Sure there is growing grit from the outside-in: parents, mentors, teachers play a very important role, but that's not anywhere near the half of it. You can also grow grit from the inside-out: by cultivating your interests (Do it! Very, very few people know what their one 'top-level' goal through life will be); by challenging your skills every day; by connecting your work to a purpose beyond yourself (This was so wonderful and important to me. I started seeing my self-worth at work, and want to make myself worthier to the kids I work with and to my co-workers); and by learning to hope when all seems lost. Learned helplessness? Sure. Learned hopefulness/optimism? Now we're talking! 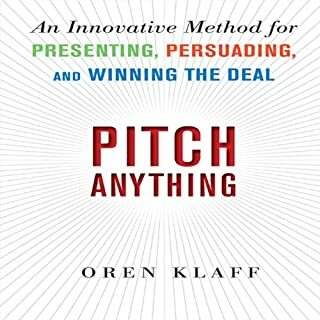 Through the book, examples are given, people are talked or referred to, entrepreneurs like Jeff Bezos, creative types like John Irving. It's fascinating and inspiring. And make sure you don't forget to download the PDF materials. You'll find a way to rate yourself on the Grit Scale, a reflection of who you are now and which can grow over time. Learn to do the hard work; learn to pare down your goals; learn to develop your one guiding principle, and you're golden. The only flaw in this book is that it's a study, rather than your usual how-to book. That's not a bad thing, it just means that the jury's still out on a few of the developing stats. Most importantly, is living with a paragon of grit easy to do? Duckworth asked her two daughters, and though she said they love it, the way she quoted them, I dunno. Sounds like her daughters wanted her to relax a little. That won't be a problem with me. Sometimes I'm so relaxed, I'm darned near comatose. But "Grit" was just the passionate and enlightening study I needed to hear about. I'm really, really glad I listened to it. I've been a fan of self-help and psychology books for a long time. 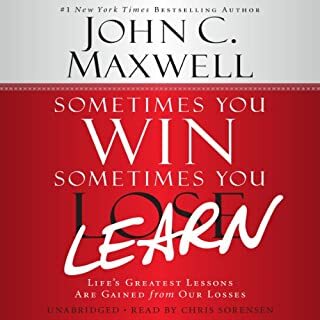 I learned a lot of the lessons in this book from an old baseball coach when I was 13 or 14. I took a lot of those lessons from baseball and taught myself (with help) how to play guitar, how to build websites and code, how to start a business, and even soft skills like how to be more persuasive. 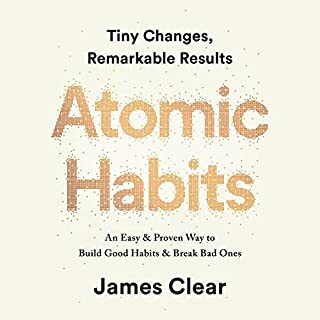 I heard about this book from the Freakonomics podcast and being a fan of Gladwell's Outliers and Dan Coyle's The Talent Code, I added it to my wish list. This book is an essential piece for anyone that's working consistently to get better at a skill. Entrepreneurs, teachers, musicians, athletes and tech people will definitely find it valuable. I'm sure I'll go back and listen to it at least a dozen times. It turns out, perseverance is a useful tool for succeeding in a vast array of subjects. Hardly Earth shattering news, but Duckworth has the data to back this up! There are a few early chapters that talk about her models and their predictive value, but that's not enough for a whole book, so it's padded with endless sports celebrity anecdotes ("paragons" of grit), personal experience hideously contorted to relate to the subject, and lavish praise for perhaps the grittiest thief of the century, Jamie Dimon. Angela articulates GRIT like a screenwriter taking a perfect novel to a 100 page script. The movie (This book) is even better than the book (Her TED Talk.) And despite knowing this book would be great,....and everyone will soon be talking about how great this is,....it will not disappoint. This is very hard to achieve and she has executed brilliantly. What else should I have expected from a MacArthur Genius. I would nominate Duckworth for the Head of The Department of Education if we wouldn't miss out on her future research. If the DOE did nothing else than communicate this message, again and again, like a marathon, eventually private capital would take over the financial burden of funding it because these concepts are proven and will lead to success (happiness and virtue) in the adults they become. Children and young adults globally are owed these words. The simple, yet hard (dedicated) practices in this book will make them and our system stronger, more resilient and to use Taleb's narrative, Antifragile. 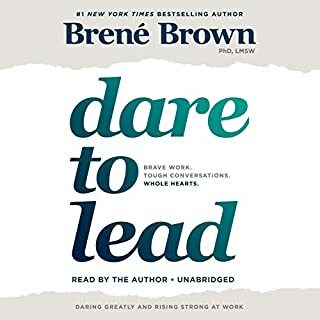 I am glad I bought the audiobook so I can re-listen often but I am about to clean out the inventory of books as gifts for my friends, parents of young kids and their educators. They will all be getting two copies so they can pass one on. Thank you Angela, I know you will stay with it. Honestly - I felt it took a bit of Grit to get through the book. There are great nuggets but at times, I felt like I was listening to a thesis paper. 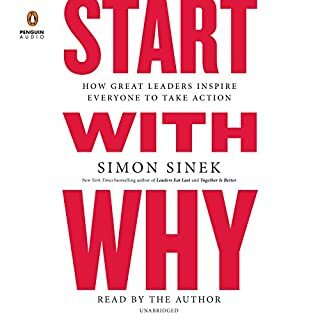 Good book with inspiring stories but I would have loved to have more practical tools or concepts that can be applied in everyday life. For instance like the "one hard thing" that Angela and her family has. Le livre et les idées sont intéressantes mais alors qu'est-ce que c'est long! Sinon, le livre est lu par l'auteur, qui a une voix agréable.